This material belongs to: Al Jazeera. 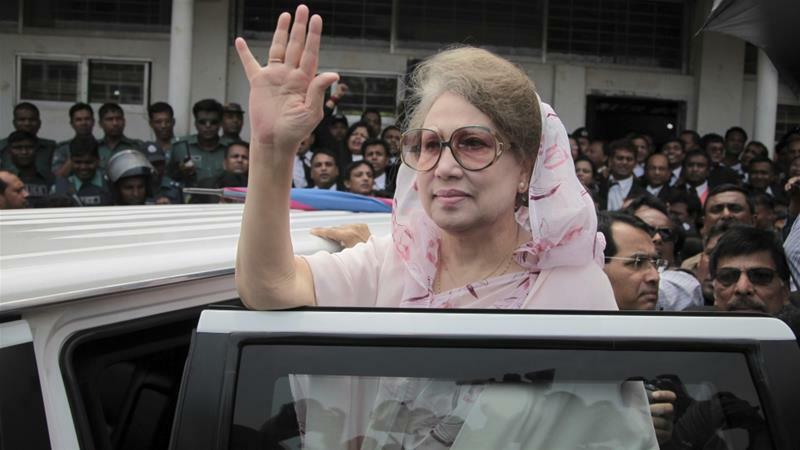 Dhaka, Bangladesh – A court in the Bangladeshi capital, Dhaka, has sentenced former Prime Minister Khaleda Zia to jail in a corruption case. “The verdict proves no one is above the law,” Law and Parliamentary Affairs Minister Anisul Haque said after the verdict was announced amid tight security. Zia, chairperson of the country’s main opposition Bangladesh Nationalist Party (BNP), and five others were accused of embezzlement of funds meant for the Zia Orphanage Trust. Tarique Rahman, Zia’s elder son and heir apparent, and four others were sentenced to 10 years in this politically significant case that comes ahead of general elections due in December. The six were accused of embezzling over Tk 21 million ($252,000) from foreign donations intended for a charity named after former President Ziaur Rahman, Zia’s husband. The four others who also received 10-year jail terms are former legislator Quazi Salimul Haq, former principal secretary to Zia, Kamal Uddin Siddique, Zia’s nephew Mominur Rahman and businessman Sharfuddin Ahmed. 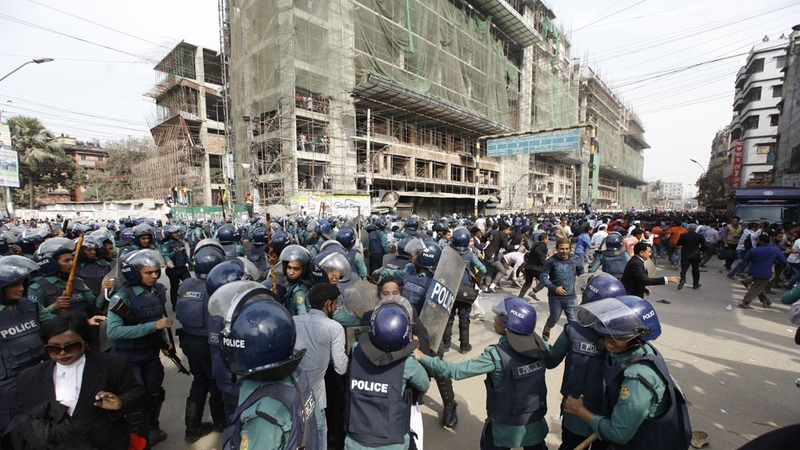 BNP supporters clashed with the police in Dhaka. Source: Mahmud Hossain Opu/Al Jazeera. Defence lawyer Khandakar Mahbub Hossain said the verdict failed to reflect the truth. “We will go to the higher court against this,” he said, adding that he hoped Zia would receive bail soon. BNP Secretary-General Mirza Fakhrul Alamgir accused the government of Prime Minister Sheikh Hasina of trying “to keep the BNP out of politics”. “They have already detained more than 3,000 of our activists and leaders from various parts of the country,” he said. Alamgir said that, anticipating “what the verdict would be”, Zia had earlier ordered that all BNP activists and leaders “refrain from any violent protests and processions”. “We call peaceful protests all across the country from Friday noon,” he said. Human Rights Watch (HRW) has called on Bangladesh’s government to stop arbitrary arrests and detentions of opposition BNP activists. It also accused the government of “violating the rights to free expression and peaceful assembly” by preventing opposition supporters from demonstrating. 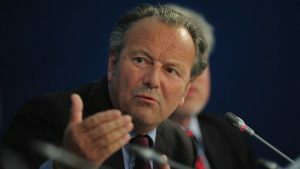 “The Bangladesh government’s claims to be open and democratic ring hollow as it cracks down on political dissent,” he said. Dhaka-based group Ain O Salish Kendra said a “total of 1,786 persons have been arrested in the last eight days”. She became the Muslim-majority country’s first female prime minister in 1991 after democracy was restored. He added that many people would see it as a tactic for removing the main contender in the election and a way of “demonising a political opponent”. 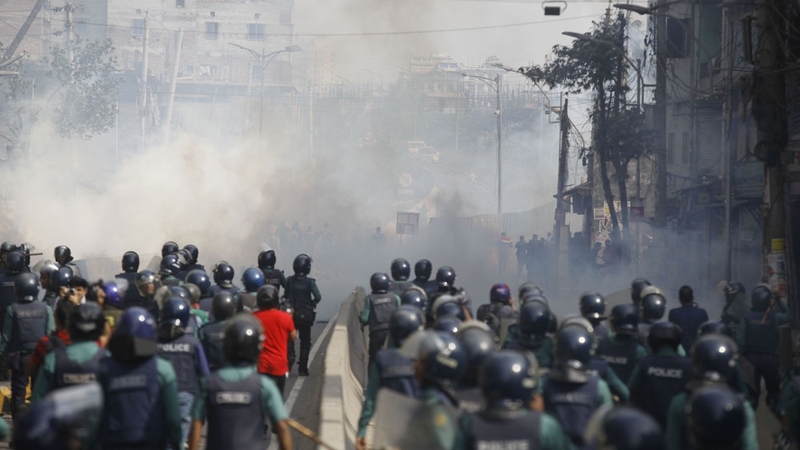 Police used tear gas to disperse BNP supporters in Dhaka. Source: Mahmud Hossain Opu/Al Jazeera.